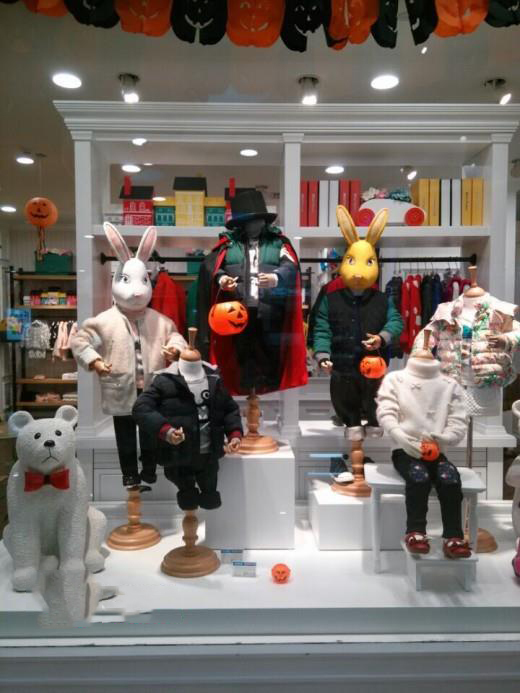 2019 shop window displays are on the way, and some of them has been displayed in shop front. 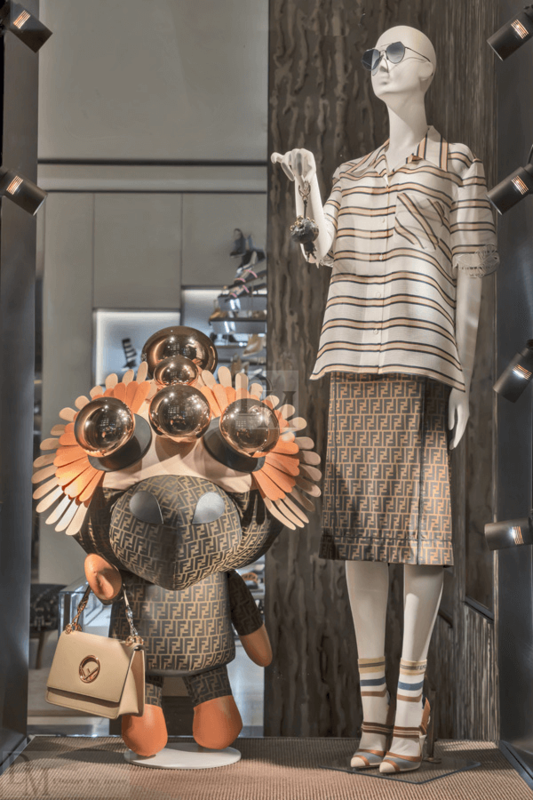 Now let’s have a look at some creative and typical Spring & Summer window display from Fendi brand. 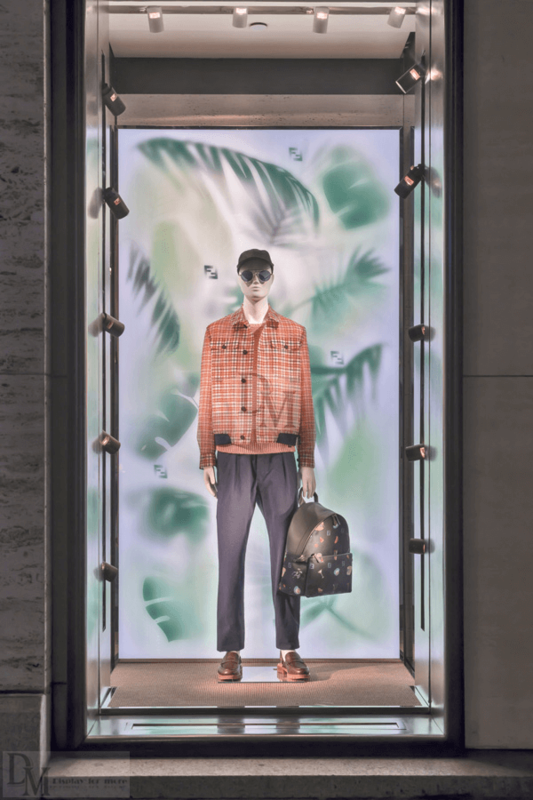 Fendi’s 2018 spring shop windows draw the inspiration from the future of the brand’s SS18 collection, which blends tropical flair. 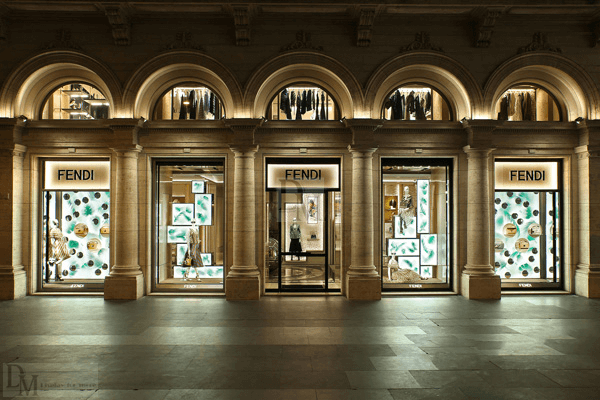 The visual marketing team uses the details of the collection of shirts and skirts, as well as the shiny pearls of rich appearance as the inspiration and use of the show. 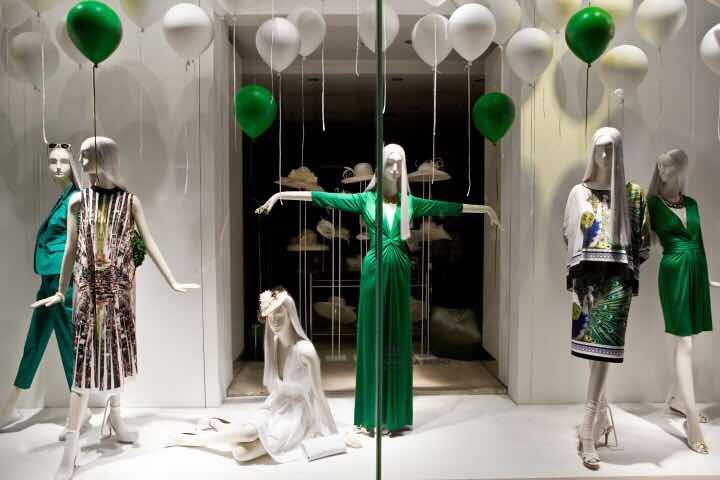 The layering and lightness of the trees is a tropical key – a layer of leaves and a beam of light in the background of the window. 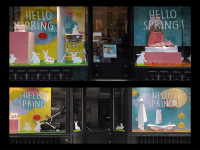 Metal coconut decoration, inspired by the details of the pearl, hosts the product in natural and organic displays. 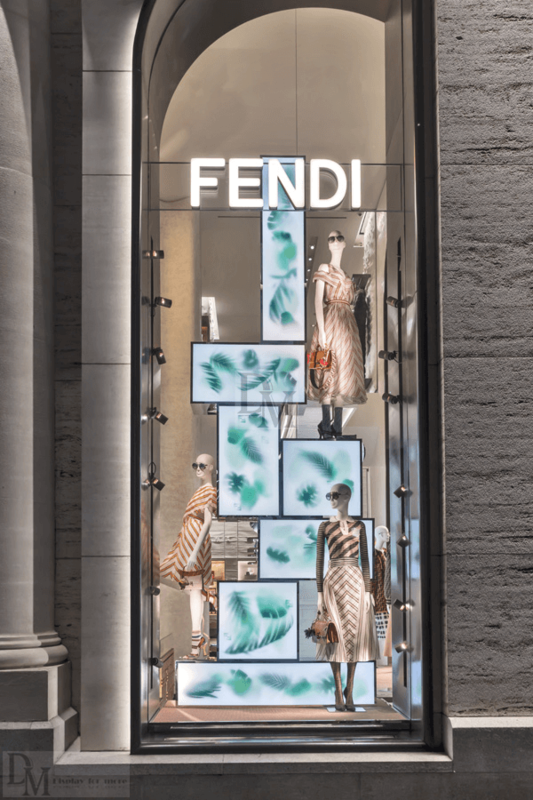 Fendi spring and summer fashion theme window design in 2018. 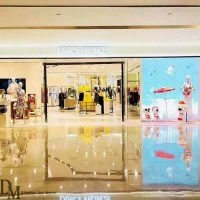 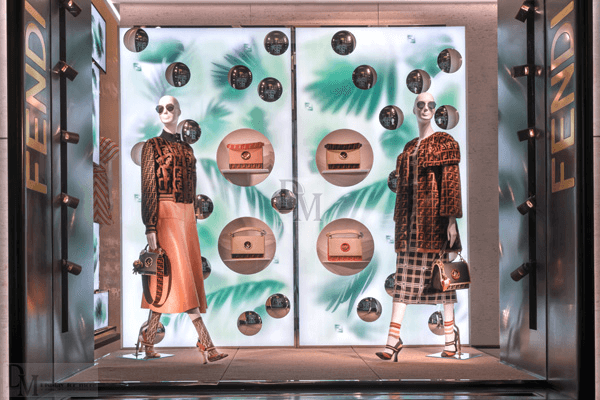 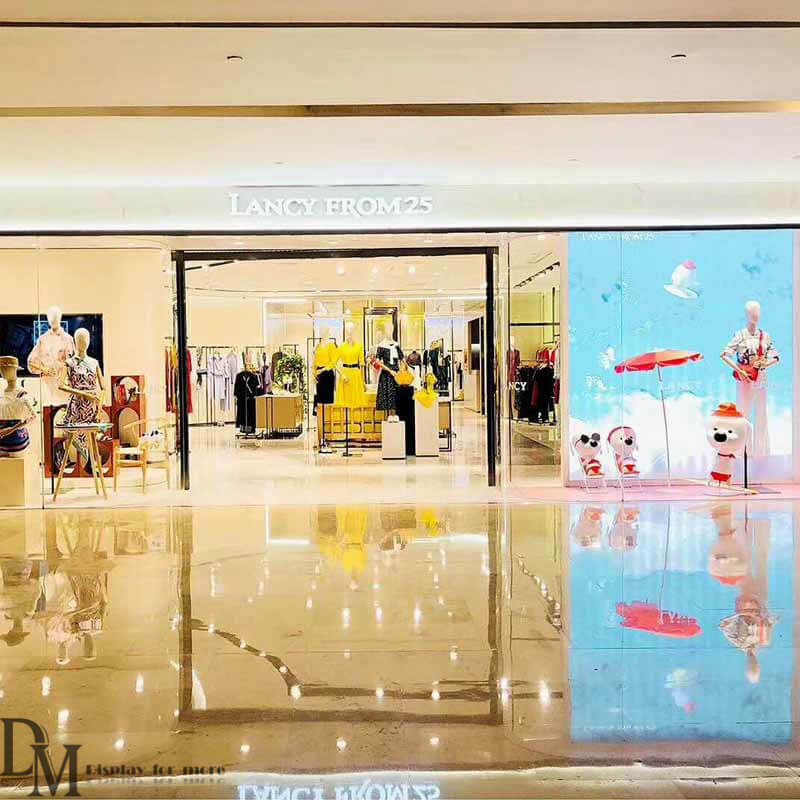 Besides of Spring & Summer window display of Fendi, DM Window Display creates more Spring windows for Hermes, LV, and some other visual merchandising shops.